The American Marketing Association’s (AMA) publication, Marketing News, recently included the results of an informal poll that identified four tactics marketers plan to stop using in 2019. Guess what tactic wasn’t on the list? Email marketing. 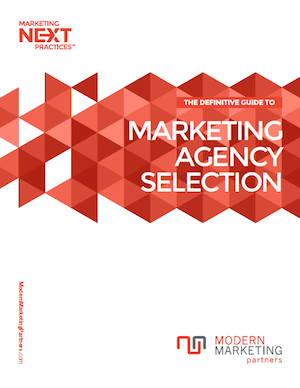 It remains a staple for marketers across all types of industries. Email marketing still provides companies with solid returns. So it’s worth looking at some metrics compiled by MailChimp that will give you a comparison for how your campaigns are doing against national averages. Plus, you can compare customer engagement for open, clickthrough, delivery, and unsubscribe rates within your sector. Audiences’ today are bombarded with emails – in both the B2B and B2C sector. Understanding what your email subscribers want from you is highly important. There are general findings that show audiences prefer relevant, useful information, personal invitations, and a reward for taking quick action. Just like any content you produce, emails need to demonstrate value. And while emails have to first get noticed, the next step in email marketing comes down to figuring out how to get them opened. Because the opposite of this leads to them being categorized as trash, spam, or ineffective. Marketers are using many tactics, including automation, personalization and segmentation to take subscribers through the customer journey, keeping them engaged with a company from prospect to customer to repeat customer. With these strategies in place, organizations can successfully target and guide recipients through the customer lifecycle. But companies need to remain mindful of the basic principles of email creation. The heart of an email is still its message. Take a few minutes to refresh your memory about these 6 techniques necessary for creating compelling email content. Avoid spammy-like phrases, including the word Free. You don’t want it to appear like junk email. Subject lines that are short and sweet are good. Typically subscribers checking email on a mobile device will only see three to five words. So ask a question, use words that contain emotion or a sense of urgency. Bottom line, make sure it’s something you would open, if it’s not, rewrite it. Start your email with Dear Jane, not Dear Valued Customer. A personalized greeting has the potential to increase conversion rates significantly, however close to 70% of organizations still fail to personalize their emails. This goes for the closing as well. Send the email from a person in your company, definitely not from a no-reply address. You want to craft your email like you’re simply having a conversation. Communication that provides exclusive information and makes the recipient feel like he or she is only one who received the email will work well. Remember to keep your marketing messages relevant and fresh. Content such an interactive quiz, will help your recipient stay engaged and provide your company with important information to further personalize future emails. Interactive content has been shown to convert 70% of the time compared to 36% for passive content. Think infographics, videos, and surveys/quizzes/polls. Try to create calls to action that are focused on the customer’s specific role or need. For example, an email automation company trying to get new clients should have different CTAs for emails going to a CMO v a CIO. The CMO’s CTA might look like – Get More Conversions, whereas a CIO CTA might be Get Seamless Integration. With the use of segmentation, you can really customize appropriate CTAs that will drive conversions. Sure, so when is that? In general, most studies analyzing billions of emails have found that 10 a.m. or 11 a.m. are the most effective times to deliver emails. The theory is that at 11 a.m. workers have had their morning coffee and at these times they are receptive and starting to address daily emails. And Thursday has replaced Tuesday as the best day to send emails, with Monday right behind it. Every company’s audience is different, so while these general guidelines are useful, it’s worthwhile to look at your own analytics to determine specific subscriber behaviors. Remember you’re really trying to find the best time when your audience demonstrates they are reading and acting on your emails – not just opening them. Need help to make your email marketing strategies revenue generators? Contact Modern Marketing Partners today.